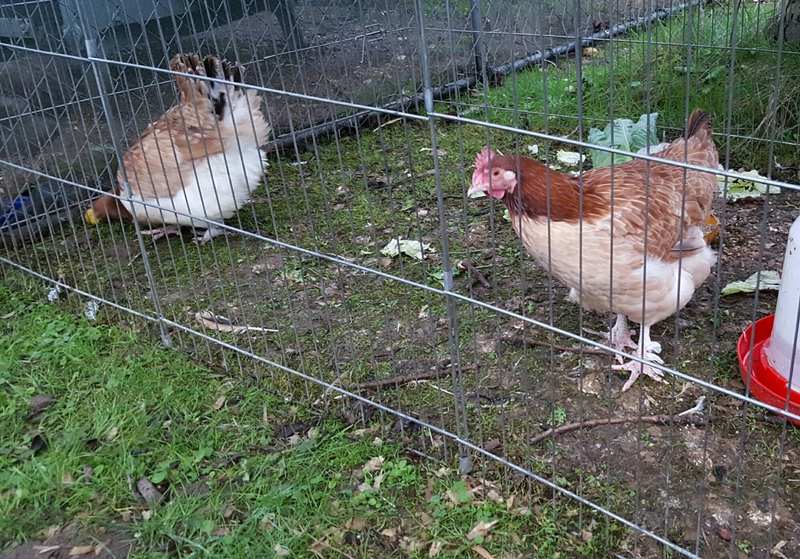 If you have a good memory you’ll remember I had offered Stuart and family 2 Jersey Giant hens but then a younger group of JGs turned out to contain several boys… so, needing to keep all the girls I could, I offered them these 2 instead. 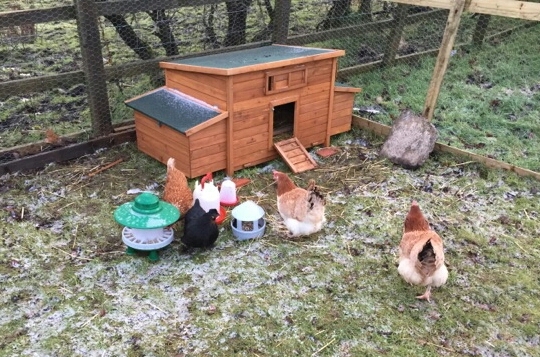 Here they are in their supposedly temporary run that had to be moved every couple of days for them to have fresh ground. 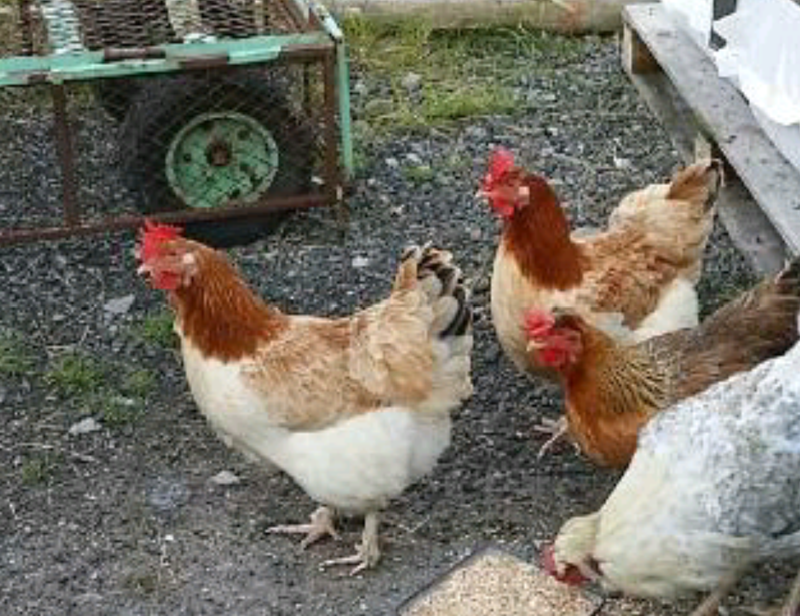 A week or so ago I took them and the run and a coop to Stuart’s. 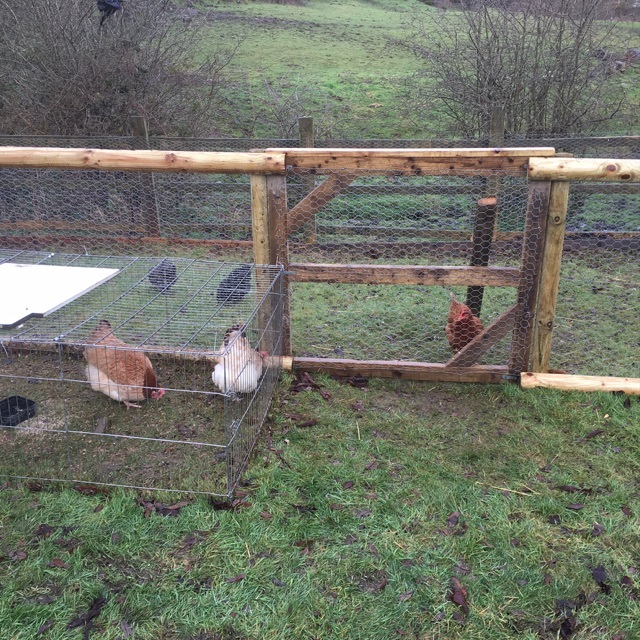 We set them up alongside the large run he had built for his existing chickens (2 bantams and an ex battery hen). 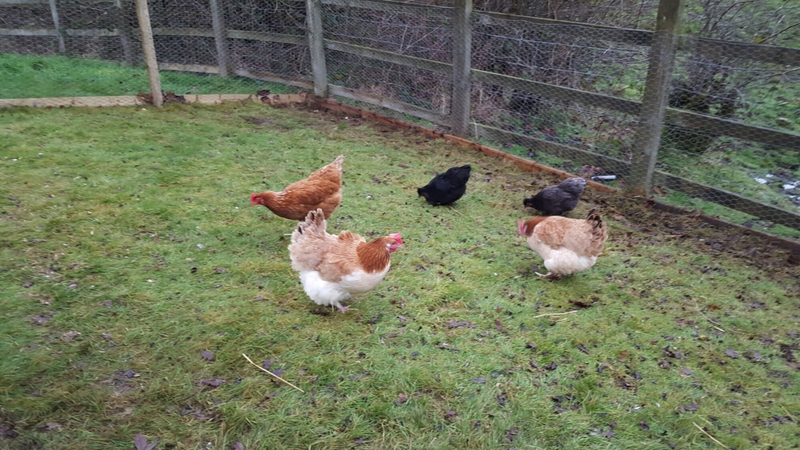 They couldn’t believe the lovely and ample fresh grass when they came out of the coop and tucked in. Even within a few days they had nearly eaten all the grass, as you can see in this photo from Stuart, showing them and the run behind. These 2 are so happy now – thank you Stuart and family! « On your marks…! Get set…! GO! !